Ronnie O'Sullivan has withdrawn from the Scottish Open less than 24 hours after winning the UK Championship. The Englishman defeated Mark Allen 10-6 in York on Sunday night to move on to 19 World, UK and Masters trophies. Daniel Wells was due to face the five-time world champion on Tuesday at Glasgow's Emirates Arena, with Wells now going straight into the last 64. Earlier this month O'Sullivan outlined plans to form a breakaway tour over concerns about the current schedule. 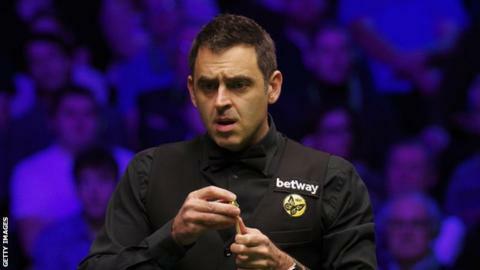 O'Sullivan's new record of 19 'Triple Crown' events was previously held by Scottish snooker great Stephen Hendry.